When you need crane and/or boom trucks complete with certified operators for projects anywhere in Manitoba, Saskatchewan and Western Ontario, look no further than Interlake Crane Inc. We lift you up! Whether you’re a homeowner, tradesperson, contractor, work for a crown corporation, or for the power transmission, construction or mining industries, we have the equipment and operators you need to complete your projects and to ensure that you meet your deadlines. Does your project require a crew to work through the night or on the weekends? No problem. Our services are available 24 hours per day to fit your schedule. Our crane and boom truck operators are certified, and will bring a wealth of experience in hoisting, lifting and rigging to your job site. We deliver personalized and comprehensive service, every time! Our services are always executed with safety as the primary consideration, no matter what the size of your project. Many leading businesses in Manitoba repeatedly trust us to help with their projects, because they know we get the job done. 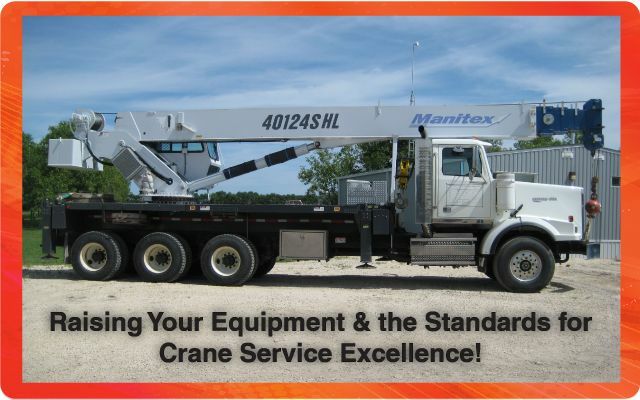 Call Interlake Crane Inc. today to discuss your crane & boom truck needs!